This can be worn by anyone â€“ male or female, child or adult. Shree yantra chakra pendant includes a very powerful and auspicious yantra, which benefits all. It is a bringer of wealth and happiness. It emits positive energy pulled from Universe. It cancels out any destructive energy. Wear it or keep it on your body and notice how your luck changes. 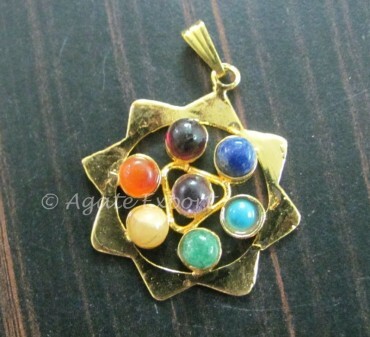 Order this lucky pendant now on Agate Export.